Kroger Marketplace has undergone serious renovation during the last 18 months. The newest additions include a Starbucks, an expanded office, a bed and bath section and a jewelry department. With construction progressing, assistant manager Michael Biggs, finally began to see the light at the end of the tunnel. Re-grand opening is scheduled for Oct. 16, 2013. Walmart and Ingles were the only two grocery stores who stayed open 24 hours until Aug. 29. Kroger saw the community’s need to have a convenient place to shop for goods around the clock. Currently, Kroger’s pricing is one-and-a-half percent higher than Walmart, but eight percent lower than Publix. “We are narrowing the gap between competitors, quickly,” said Biggs. In addition, University of West Georgia provides transportation to and from the expanded Kroger Marketplace two days per week. One negative aspect of the construction was the constant mess that was created. Despite the dismal circumstances, this project created jobs for many people in the local community. Biggs said the old Kroger employed roughly 82 employees. By the end of construction, Biggs estimated that they will give jobs to more than 300 people. The West Georgia community can take pride in knowing that Carrollton, Georgia is home to the only super-size Kroger in the state of Georgia. Kroger resides in a shopping complex with Staples, Hobby Lobby and Marshall’s. Biggs wanted to get the word out that Kroger is here to meet all the needs of UWG students. If someone is looking for a specific item but can not find it in the store, Kroger will do their best to find it and put it on their shelf. Fazio said they grilled out for various campus events last year and are eager to partner with UWG again this year. 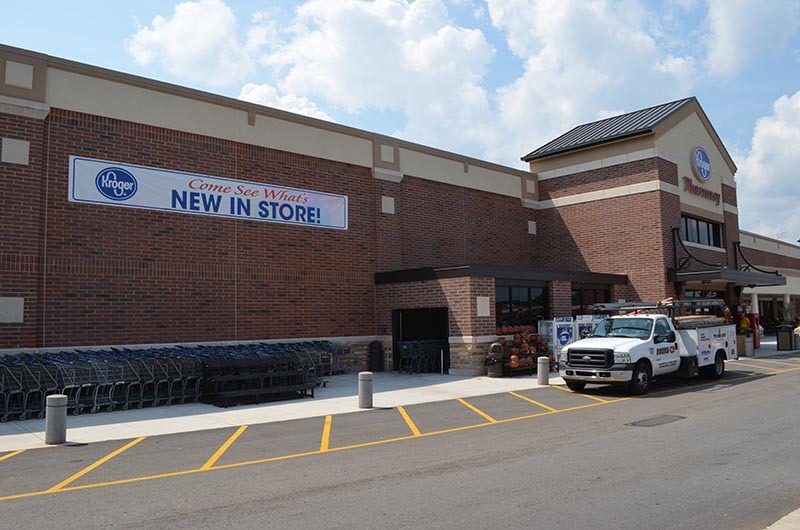 The final addition to the revamped Kroger is a UWG wolf. “We have purchased a wolf and it will be dedicated in October,” said Biggs. UWG transportation is provided on Tuesdays and Wednesdays from 2 p.m. until 5 p.m. Biggs encourages students to come out for their re-grand opening on Wednesday, Oct. 16.
subject, it may not be a taboo subject but usually folks don’t talk about such topics. forr the great info you have right here on this post.